Newer Model Available: iCH II Auto CPAP Machine with Built-In Heated Humidifier.
" This was a replacement for an identical unit, and I continue to be pleased with it. " " This is so quiet, my husband reminds me to turn it on. Love the clock feature and air warmer. Would purchase again when I need a new machine. " Not your average Sleep Therapy machine! 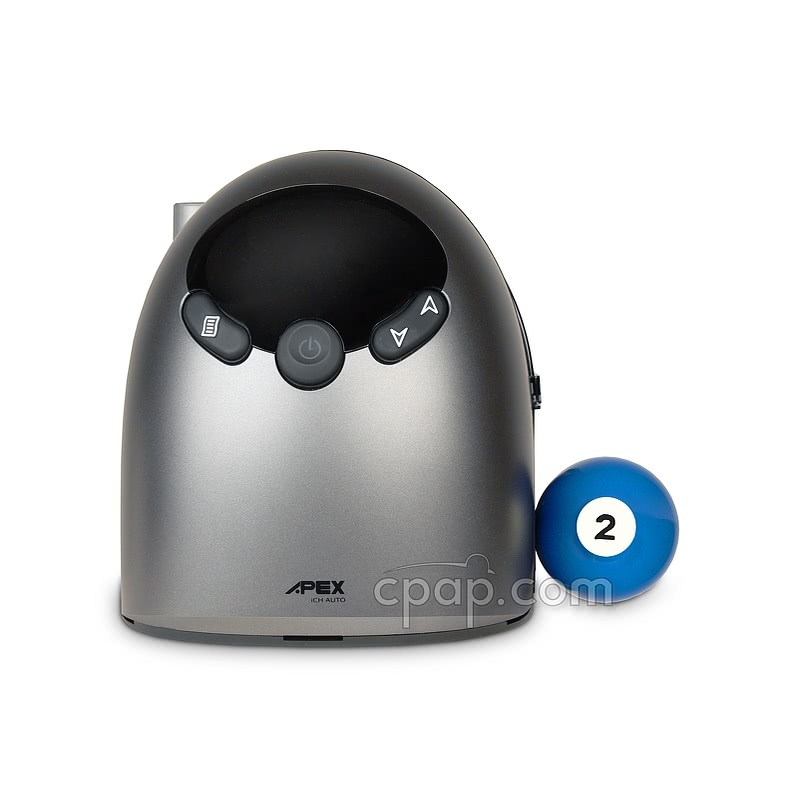 Apex Medical offers the iCH Auto CPAP with PVA and Built in Heated Humidifier. 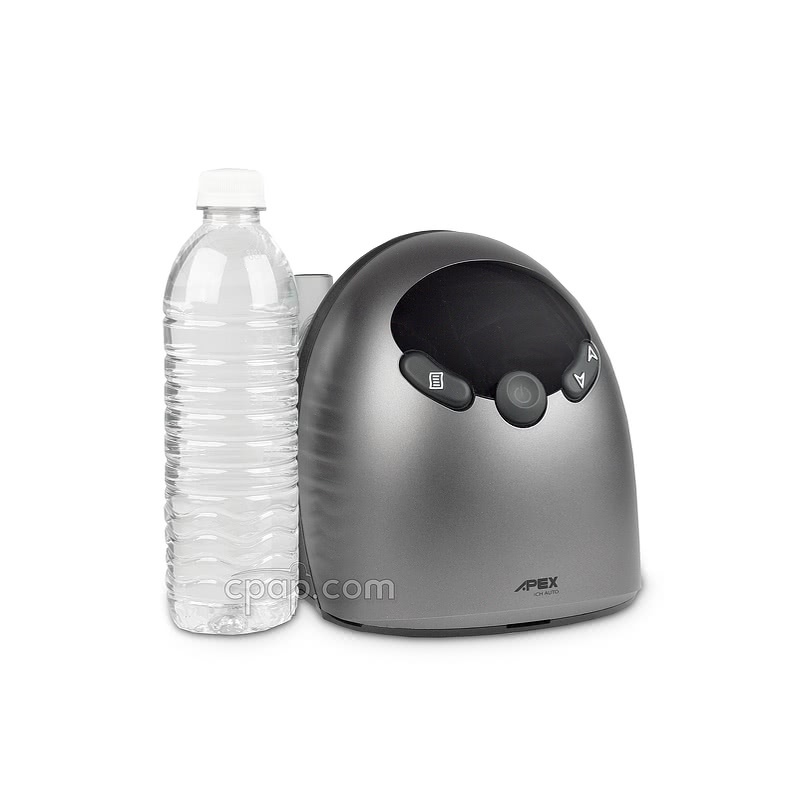 The iCH is a quiet auto-adjusting machine with a built-in heated humidifier. PVA pressure relief at exhalation makes therapy feel more natural. It all comes in a compact and lightweight body with an innovative look. The small foot print means it easily fits into a bedroom and lifestyle. Looking for an auto-titrating machine with the comfort of exhalation relief which is small, easy to travel with, and has quiet operation? 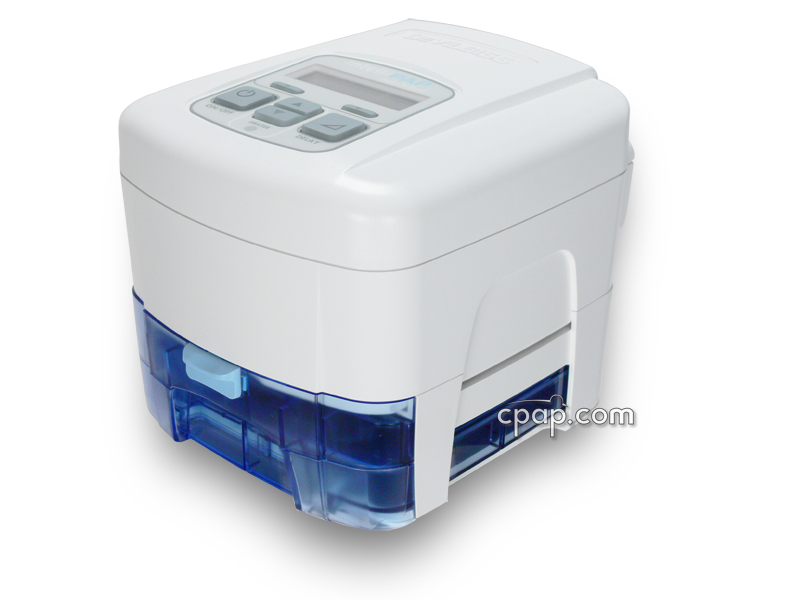 Consider the features offered in the iCH Auto CPAP Machine with PVA and Built-In Heated Humidifier. The iCH Auto is set to a range of pressures and continually adjusts the delivered air stream within the range to provide the ideal pressure during sleep. Pressure can be set in .5 cmH20 increments between 4 and 20 cmH2O. 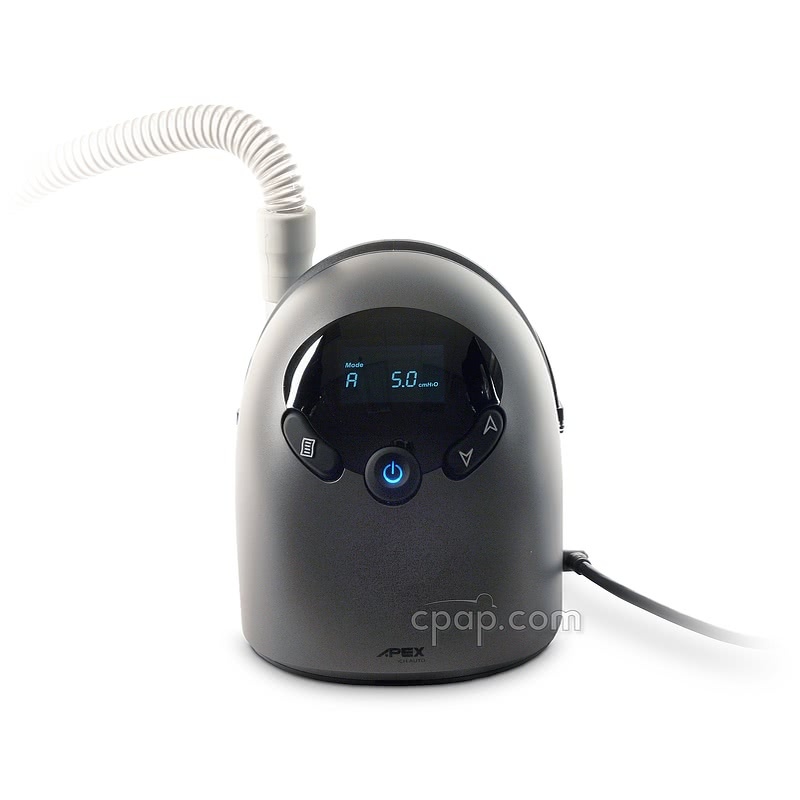 Alternately, the iCH Auto can be set in CPAP mode to deliver a single therapy pressure all night long. The iCH Auto includes the comfort feature PVA (Pressure Variation Algorithm) designed to provide a drop in pressure at the time of exhalation. The drop in pressure eases the process of breathing out against the air stream making the therapy more natural. PVA can be set to 3 levels with 1 being the lowest level of drop in pressure at the time of exhalation and 3 being the largest drop in pressure. Or, turn the PVA function to zero to turn off the pressure relief feature. The PVA function is represented on the machine's display screen by the letter "C". 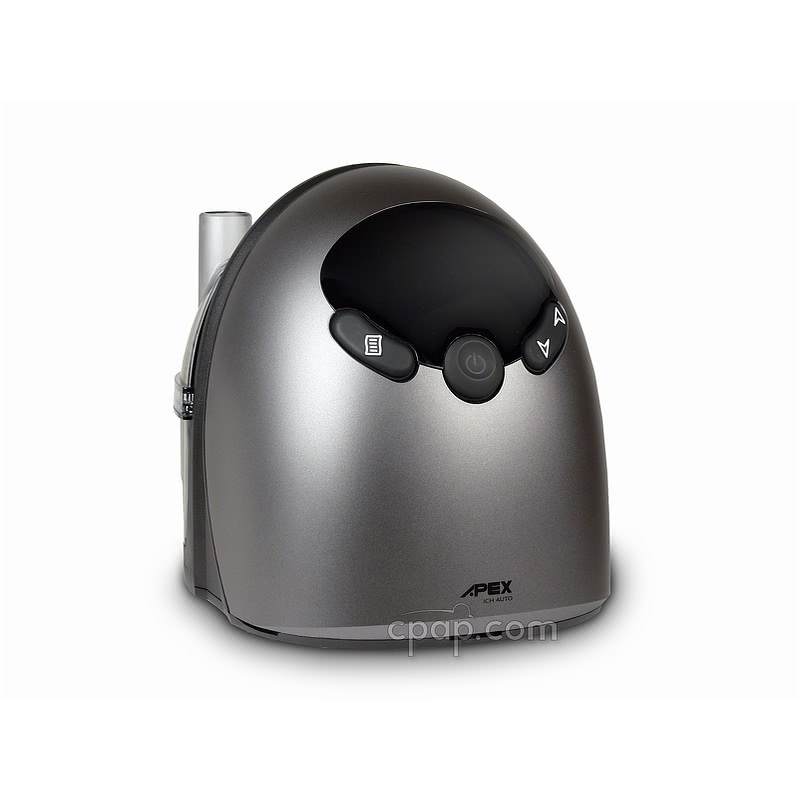 Recognizing the important part humidified air plays in therapy comfort, the iCH Auto offers a built-in heated humidifier in one compact unit. The humidifier is designed to prevent back flow so that water is less likely to get into the machine. 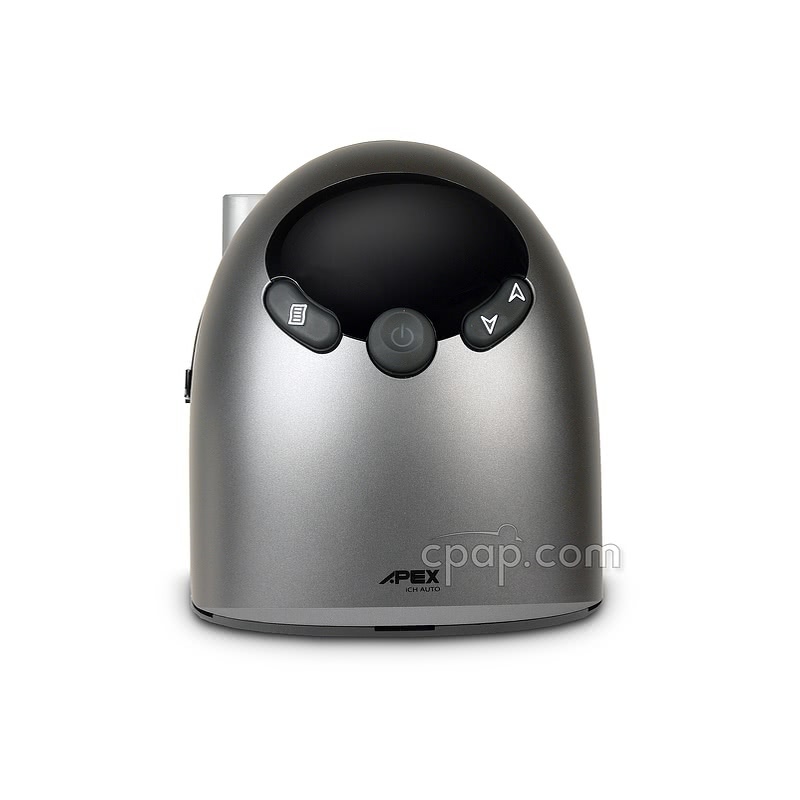 There are 6 easily adjustable humidifier settings to allow the user to find the most comfortable level. The chamber holds 300ml of water, just over 10 ounces, and will provide at least 8 hours of use. The humidifier can be turned off with a setting of zero (0) to use it as a cool passover humidifier. Under the humidifier chamber is a soothing blue light that can serve as a night light. This light can be turned on and off by pressing the up and down arrow on the machine control panel. The iCH Auto is a feature packed machine engineered in a compact and lightweight bundle with an innovative design. The small footprint means it can fit easily on a bedside table without disrupting the feel of the room. The quiet operation (28 dB) allows it to fit easily into routines. The iCH has a built in alarm clock that can be set to sound an audible alarm. Mute the alarm using the power button. When not in use the display of the iCH shows the current time. The iCH has a hidden handle built into the machine housing to make picking it up easy and secure. People who travel for business or recreation find it easy to pack into their carry on luggage. Or use the included travel bag designed to hold the machine, power supply and hose as well as most mask types. To see the latest data when the machine is in the Standby mode displaying the time, simultaneously press and hold the Up and Down buttons to see the latest data. Move through the information by pushing the Menu button. The information displayed is for the most recent treatment session only and will no longer be available from the display when the machine is turned off. The machine has on board data storage and an SD card. Low Pressure alert (sometimes referenced as a Leak Alert function) notifies the user when there is a large air leak in the pressure pathway. The display shows "Low P" and an audible alarm sounds. The audible alert can be turned off. Leak Compensation helps to maintain an even pressure output even where there are small air losses in the system. Auto Altitude Adjustment takes care of providing the appropriate therapy level in different altitudes. The iCH can be operated in altitudes up to 8,000 ft for pressures up to 18 cmH20 and up to 5,000 ft for pressures of 18.5 to 20 cmH2O. On-Board Data Storage: Compliance = 730 Sessions; Advanced Data = 18 Sessions (72 Hours). First in, first out for saved data. Max Operating Temperature: Machine should not be exposed to heat greater than 95°F. Filter: The iCH machine filter is located on the back of machine housing. To locate the filter remove the humidifier chamber. The filter is on the side opposite the air port. The manufacturer states that the specifically designed location of the filter is one of the reasons for the quiet operation of the machine. Air intake for the machine is more than adequate. This machine uses only a washable foam filter. The manufacturer suggests washing the foam filter once every two weeks. Hold the filter under clear running water, do not use any soap or other cleaning solution. Gently squeeze the filter to remove excess water. Allow to air dry before replacing in the machine. 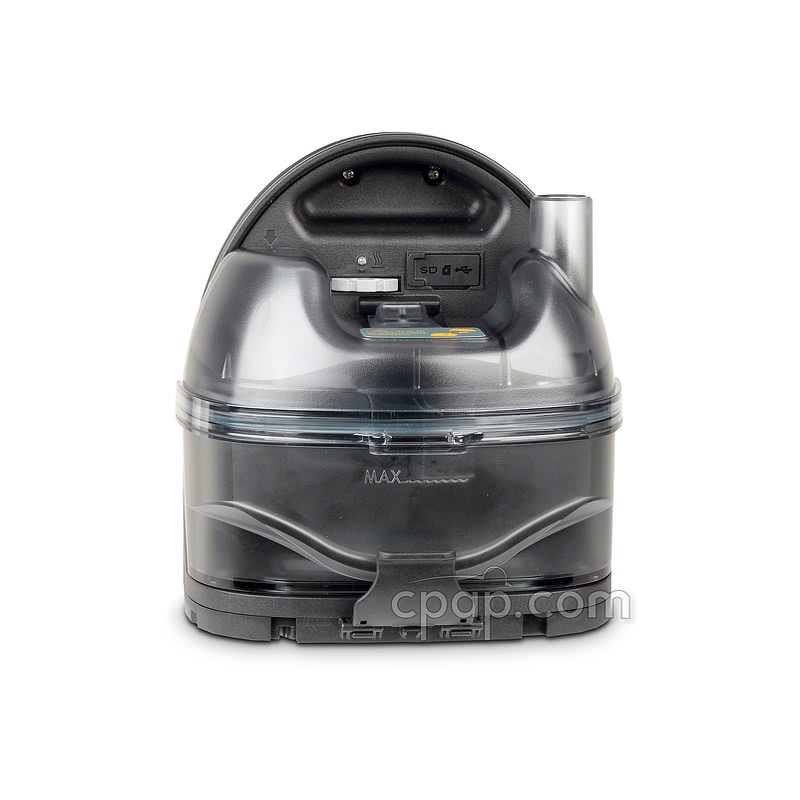 Humidifier Information and Care: The humidifier chamber should be cleaned by hand with warm soapy water. It is not designed to go through the dishwasher. Light: The blue light under the water chamber can be turned off by pressing the "down" arrow button. Press the "up" to turn on the light under the chamber. NOTE: As with all machines, to avoid getting water from the chamber into the machine, remove the humidifier chamber from the machine housing before moving or lifting the machine. The chamber is designed to guard against water entering the machine - but caution is always the best approach. Sleep Data: The iCH Auto holds data in an on board memory (including compliance and therapy effectiveness information) that can only be read using the machine software. The software can be sold only to a Clinician or Physician. CPAP.com does NOT sell the software. It cannot be sold to customers. The only information displayed to the screen are the Indexes as detailed on the Features tab - and only for the last sleep session. As soon as the machine is turned off, the displayed data is no longer available from the display. Alarm Tone: The alarm has only one tone setting available and cannot play music. Battery Operation: An inverter such as 400 Watt DC to AC Power Inverter is required to use the iCH with a battery. The inverter itself will draw approximately half of the battery run time. 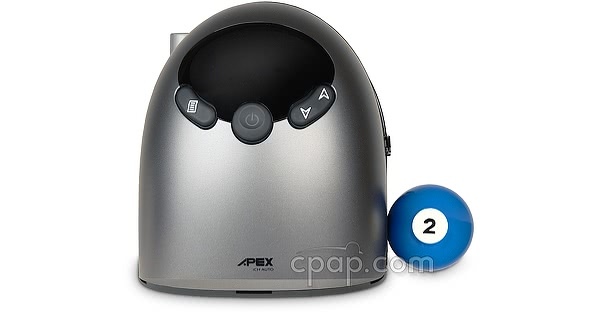 Apex Manufacturer Warranty on the iCH Auto CPAP Machine with PVA and Built-In Heated Humidifier: The iCH Auto CPAP Machine with PVA and Built-In Heated Humidifier has a 2 Year Manufacturer Warranty. Battery Operation: The iCH does not have DC capability and requires the use of an inverter to operate with a battery. This is an example of a product that would be required: 150 Watt DC to AC Power Sine Wave Inverter. Always keep in mind, the inverter itself will draw approximately half of the battery run time. The Freedom Travel Battery can be used to connect to this device, but only when using the 150 Watt Sine Wave Inverter. The Freedom Travel Battery weighs only 1.7 pounds, and is perfect for any excursion. It's also FAA compliant and can be used in-flight, and is able to be used off-the-grid. 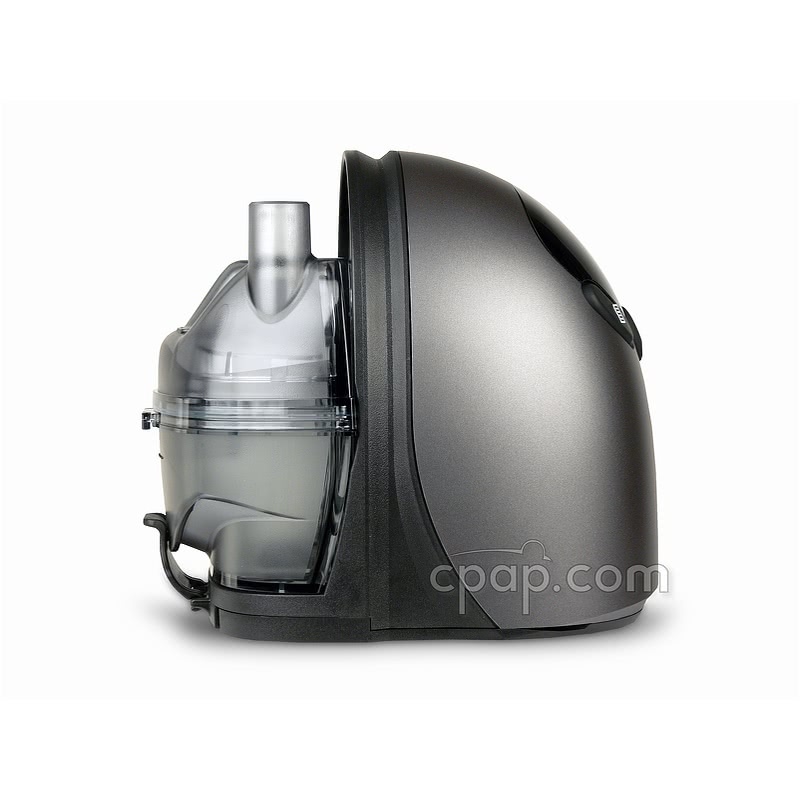 CPAP air is an irritant - to one degree or another - to everyone. In some cases the irritation dries out the nasal passages and may cause bleeding. It may also cause swelling, excess mucous, congestion or sneezing. The irritation may create a very fertile ground for infections to begin. The irritation may be cumulative, building up over time. The only way to reduce the irritation is to add moisture. What travel tips should I know? Remove Water From The Humidifier. 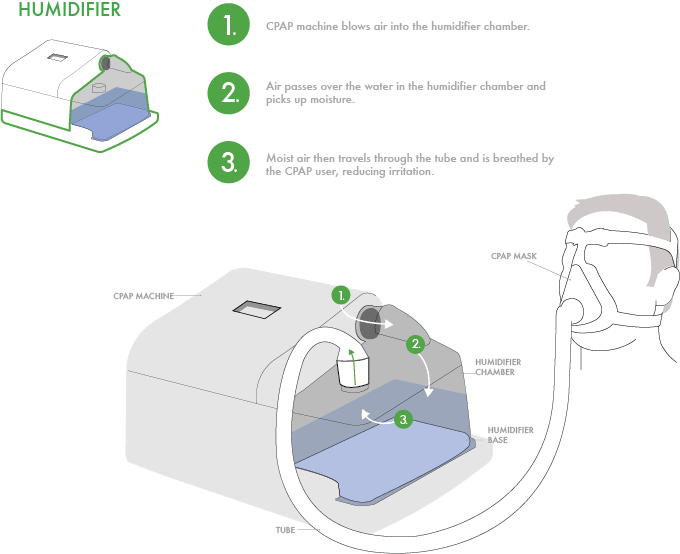 If you are going to take your CPAP humidifier with you, remove ALL water from the humidifier chamber. Water left in the humidifier chamber can be tipped into your machine and cause damage. Accompany Your CPAP Through Security. Stay with your CPAP machine. 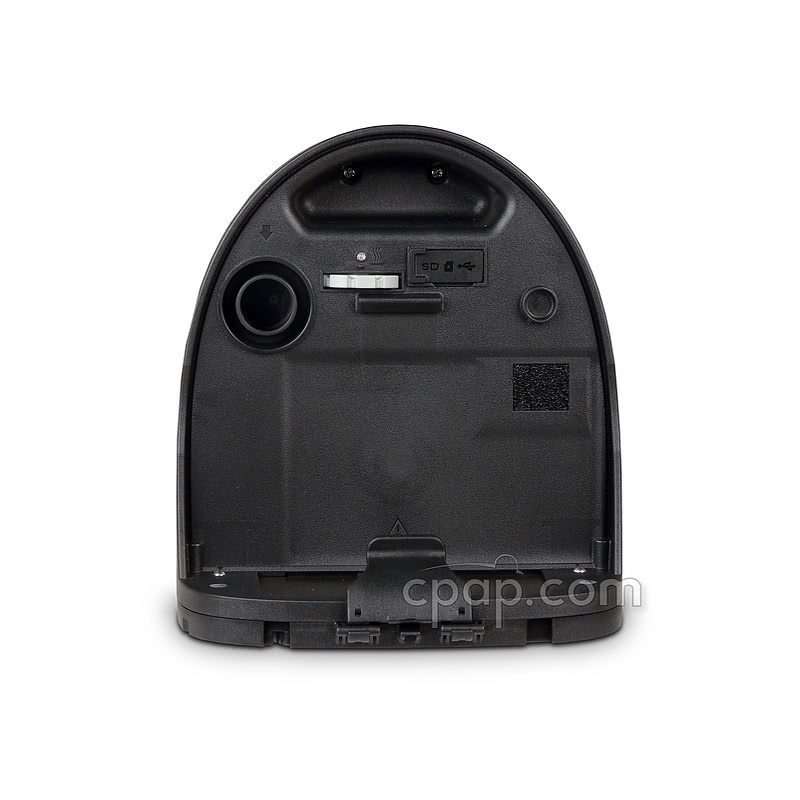 When going through security, security agents will usually need to inspect the CPAP separately. Ask to stay with the CPAP. This way you can watch them handle the CPAP machine, and you can make sure all of your parts (cords, masks, chambers, filters) get back into the bag. Plan Your Power Needs. Know what type of power your CPAP requires. If you are going to use a battery, make sure you have all the parts needed to safely run the CPAP on battery power. If you are traveling abroad make sure you have an international adapter plug. Check out the Power Solutions section of the FAQ for more information. Identify Your CPAP as Medical Equipment. To help move through security easier, put a medical equipment tag on your CPAP bag. We offer a Medical Equipment Luggage Tag. Carry a Medical Alert Card. When traveling or handling daily tasks, it is good to carry a medical alert card in your wallet. The card will inform emergency personnel that you have obstructive sleep apnea. We offer a Medical Alert Card. Pack Your Power Cord. Just like people commonly leave cell phone chargers at home or in the hotel, we frequently get calls from travelers who have left their CPAP power cord behind. Check to make sure your cord is packed with your machine before you leave home and when heading back home. Bring Spare Parts and Back Up Mask. Like the power cord, items get left behind or misplaced while on the road. Having spare parts and a back up mask will ensure you are not caught without equipment. Call Us If You Leave Something. CPAP.com delivers all over the US and to most international destinations. This includes to hotels and resorts. We also have expedited shipping options. If you are in a bind, give us a call 800.356.5221. Check out all of our travel accessories we carry that may help you on your travels with your CPAP.